7.3" x 11.2" stitched on 14 count. 5.7" x 8.7" stitched on 18 count. 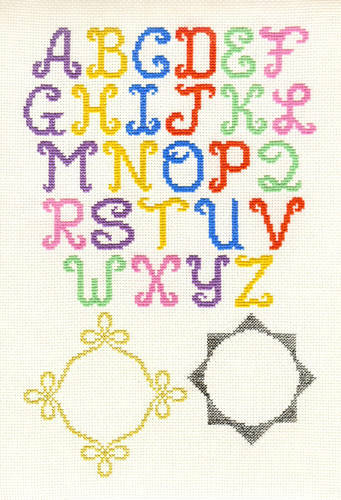 Monograms with 2 Borders cross stitch pattern... To be used with removable waste canvas on anything that can be stitched through. All letters and two different surrounding frames are provided. DMC Light Effects may be used for the frames. Colors and threads of choice may be used.